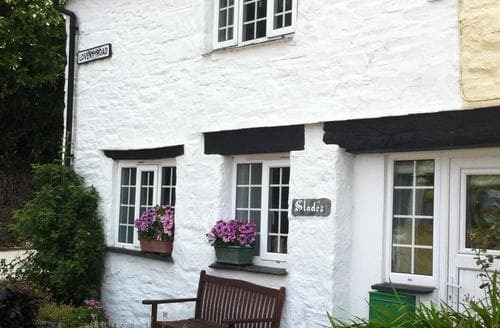 What our customers are saying about our Holiday Cottages In St. Neot To Rent. "The hosts/owners are very friendly and approachable. Only had a short break there and the weather was atrocious and with log burner going full tilt "why venture out"? A very relaxing few days and if get chance again wouldn't hesitate to rebook and return.The cottage itself was super cosy and, although we didn't get to meet Mike, he was incredibly helpful having left us lots of information on notes with tips and recommendations too. The kitchen was well stocked with all utensils you could possibly need and Mike had got the woodburner prepared for us so all we needed to do was light it on arrival. It was ideally located in that it felt really out of the way but it was easy to access all kinds of walks and the nearby village of St Neot is a delight. Would recommend doing the Two Valleys Walk (as long as you are brave enough to walk through cow fields) and a walk up Rough Tor is not to be missed - it certainly blew the cobwebs off! Golitha Falls and Minions were also great. Our dog definitely enjoyed the vast amount of walks available! All in all we had a lovely time and would definitely recommend to anyone who'd listen!In the middle of nowhere which was nice... the only downside was no central heating,we were there in February so was v cold. Mike the owner v nice & friendly. Overall thoroughly enjoyed it so did my dogsJust returned from a fabulous week staying in this renovated old smithy. The cottage is well furnished and extremely clean, with plenty of space for 3 adults and a large lurcher. All basics provided, including fluffy towels and all kitchen utensils etc. The wood burner was great, definitely warms the place up well and makes it very cosy indeed. No phone signal but wifi is provided (if you want it that is). There is also an off road parking space and a lovely grassed area to sit if the weather is kind enough. Bathroom is small but does the job. Very pretty walks around the cottage which the dog very much enjoyed as well as us. Those hills are not for the faint hearted though! We particularly enjoyed the waterfalls. The location is excellent - perfectly located for exploring both north and south coasts. Definitely take a trip to Boscastle, Padstow and Fowey. Eden Project is also not far. Mike lives next door and is very helpful. He was an excellent host and we loved his dog Bob (even if our dog didn't like Bob much!). Very approachable - nothing was too much trouble. Thank you for a lovely stay.This is a recently renovated old Smithy as the name suggests and is a lovely comfortable place to stop with parking. 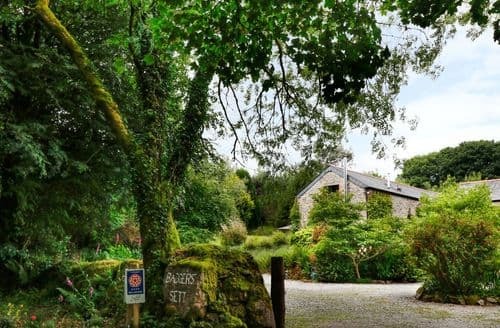 Its centrally located in this part of Cornwall tucked away in some picturesque countryside lanes with easy access to most areas. Not too far from Golitha falls and also Siblyback Lake which are both lovely dog walks. We went as a couple with our two dogs and found we had plenty of room. One bedroom is a double and the other one upstairs is a twin. There is a washing machine and access to a tumble dryer, fridge and cooker. Wi fi is not great and mobile reception is sparse but hey you're on holiday and sometimes thats a bonus if you want some peace and quiet? If you really need it theres plenty of cafes in the town for wi fi. Personally it didn't bother me at all. The log burner is great once you get back into your scouting skills to light it but again part of the fun and certainly kicks out some heat once its alight. One thing I don't think is mentioned on the booking site is that when it gets dark here it gets pitch black so you'll need to take a good torch with you for returning home late and getting in but also for if the electric meter runs out at night (bad planning on our part).! You literally cannot see your hand in front of your face. Mike the owner lives in the property next door and is a very easy and affable guy to deal with if you have any problems at all. He also has good info about local attractions / pubs / restaurants etc Value for money? Certainly." 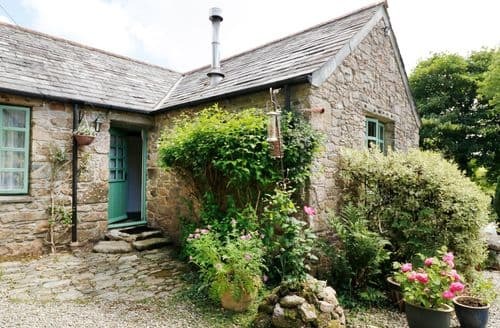 "The cottage itself was super cosy and, although we didn't get to meet Mike, he was incredibly helpful having left us lots of information on notes with tips and recommendations too. The kitchen was well stocked with all utensils you could possibly need and Mike had got the woodburner prepared for us so all we needed to do was light it on arrival. It was ideally located in that it felt really out of the way but it was easy to access all kinds of walks and the nearby village of St Neot is a delight. Would recommend doing the Two Valleys Walk (as long as you are brave enough to walk through cow fields) and a walk up Rough Tor is not to be missed - it certainly blew the cobwebs off! Golitha Falls and Minions were also great. Our dog definitely enjoyed the vast amount of walks available! All in all we had a lovely time and would definitely recommend to anyone who'd listen!In the middle of nowhere which was nice... the only downside was no central heating,we were there in February so was v cold. Mike the owner v nice & friendly. Overall thoroughly enjoyed it so did my dogsJust returned from a fabulous week staying in this renovated old smithy. The cottage is well furnished and extremely clean, with plenty of space for 3 adults and a large lurcher. All basics provided, including fluffy towels and all kitchen utensils etc. The wood burner was great, definitely warms the place up well and makes it very cosy indeed. No phone signal but wifi is provided (if you want it that is). There is also an off road parking space and a lovely grassed area to sit if the weather is kind enough. Bathroom is small but does the job. Very pretty walks around the cottage which the dog very much enjoyed as well as us. Those hills are not for the faint hearted though! We particularly enjoyed the waterfalls. The location is excellent - perfectly located for exploring both north and south coasts. Definitely take a trip to Boscastle, Padstow and Fowey. Eden Project is also not far. Mike lives next door and is very helpful. He was an excellent host and we loved his dog Bob (even if our dog didn't like Bob much!). Very approachable - nothing was too much trouble. Thank you for a lovely stay.This is a recently renovated old Smithy as the name suggests and is a lovely comfortable place to stop with parking. 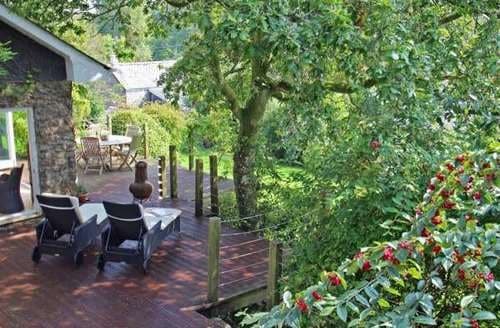 Its centrally located in this part of Cornwall tucked away in some picturesque countryside lanes with easy access to most areas. Not too far from Golitha falls and also Siblyback Lake which are both lovely dog walks. We went as a couple with our two dogs and found we had plenty of room. One bedroom is a double and the other one upstairs is a twin. There is a washing machine and access to a tumble dryer, fridge and cooker. Wi fi is not great and mobile reception is sparse but hey you're on holiday and sometimes thats a bonus if you want some peace and quiet? If you really need it theres plenty of cafes in the town for wi fi. Personally it didn't bother me at all. The log burner is great once you get back into your scouting skills to light it but again part of the fun and certainly kicks out some heat once its alight. One thing I don't think is mentioned on the booking site is that when it gets dark here it gets pitch black so you'll need to take a good torch with you for returning home late and getting in but also for if the electric meter runs out at night (bad planning on our part).! You literally cannot see your hand in front of your face. Mike the owner lives in the property next door and is a very easy and affable guy to deal with if you have any problems at all. He also has good info about local attractions / pubs / restaurants etc Value for money? Certainly." "In the middle of nowhere which was nice... the only downside was no central heating,we were there in February so was v cold. Mike the owner v nice & friendly. 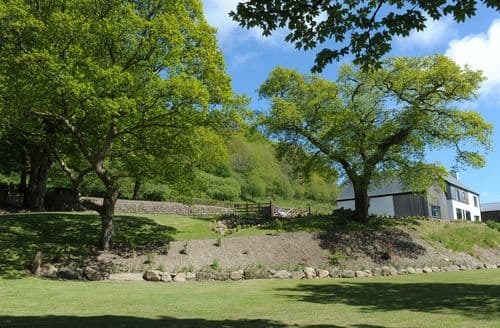 Overall thoroughly enjoyed it so did my dogsJust returned from a fabulous week staying in this renovated old smithy. The cottage is well furnished and extremely clean, with plenty of space for 3 adults and a large lurcher. All basics provided, including fluffy towels and all kitchen utensils etc. The wood burner was great, definitely warms the place up well and makes it very cosy indeed. No phone signal but wifi is provided (if you want it that is). There is also an off road parking space and a lovely grassed area to sit if the weather is kind enough. Bathroom is small but does the job. Very pretty walks around the cottage which the dog very much enjoyed as well as us. Those hills are not for the faint hearted though! We particularly enjoyed the waterfalls. The location is excellent - perfectly located for exploring both north and south coasts. Definitely take a trip to Boscastle, Padstow and Fowey. Eden Project is also not far. Mike lives next door and is very helpful. He was an excellent host and we loved his dog Bob (even if our dog didn't like Bob much!). Very approachable - nothing was too much trouble. Thank you for a lovely stay.This is a recently renovated old Smithy as the name suggests and is a lovely comfortable place to stop with parking. 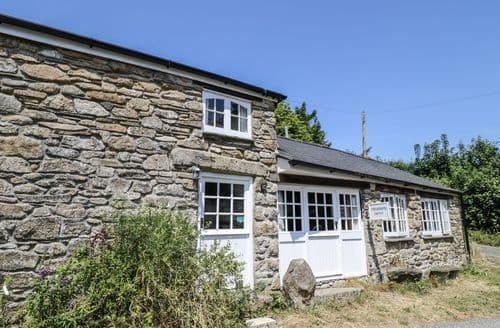 Its centrally located in this part of Cornwall tucked away in some picturesque countryside lanes with easy access to most areas. Not too far from Golitha falls and also Siblyback Lake which are both lovely dog walks. We went as a couple with our two dogs and found we had plenty of room. One bedroom is a double and the other one upstairs is a twin. There is a washing machine and access to a tumble dryer, fridge and cooker. Wi fi is not great and mobile reception is sparse but hey you're on holiday and sometimes thats a bonus if you want some peace and quiet? If you really need it theres plenty of cafes in the town for wi fi. Personally it didn't bother me at all. The log burner is great once you get back into your scouting skills to light it but again part of the fun and certainly kicks out some heat once its alight. One thing I don't think is mentioned on the booking site is that when it gets dark here it gets pitch black so you'll need to take a good torch with you for returning home late and getting in but also for if the electric meter runs out at night (bad planning on our part).! You literally cannot see your hand in front of your face. Mike the owner lives in the property next door and is a very easy and affable guy to deal with if you have any problems at all. He also has good info about local attractions / pubs / restaurants etc Value for money? Certainly." "Just returned from a fabulous week staying in this renovated old smithy. 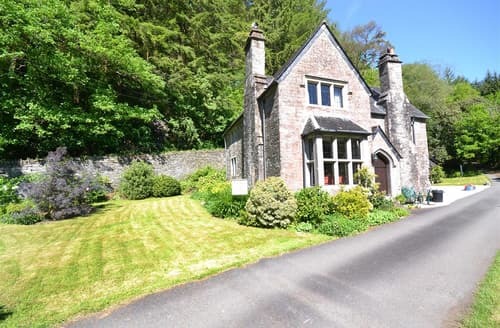 The cottage is well furnished and extremely clean, with plenty of space for 3 adults and a large lurcher. All basics provided, including fluffy towels and all kitchen utensils etc. The wood burner was great, definitely warms the place up well and makes it very cosy indeed. No phone signal but wifi is provided (if you want it that is). There is also an off road parking space and a lovely grassed area to sit if the weather is kind enough. Bathroom is small but does the job. Very pretty walks around the cottage which the dog very much enjoyed as well as us. Those hills are not for the faint hearted though! We particularly enjoyed the waterfalls. The location is excellent - perfectly located for exploring both north and south coasts. Definitely take a trip to Boscastle, Padstow and Fowey. Eden Project is also not far. Mike lives next door and is very helpful. He was an excellent host and we loved his dog Bob (even if our dog didn't like Bob much!). Very approachable - nothing was too much trouble. Thank you for a lovely stay.This is a recently renovated old Smithy as the name suggests and is a lovely comfortable place to stop with parking. 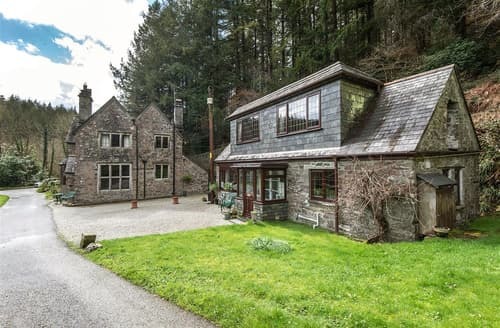 Its centrally located in this part of Cornwall tucked away in some picturesque countryside lanes with easy access to most areas. Not too far from Golitha falls and also Siblyback Lake which are both lovely dog walks. We went as a couple with our two dogs and found we had plenty of room. One bedroom is a double and the other one upstairs is a twin. There is a washing machine and access to a tumble dryer, fridge and cooker. Wi fi is not great and mobile reception is sparse but hey you're on holiday and sometimes thats a bonus if you want some peace and quiet? If you really need it theres plenty of cafes in the town for wi fi. Personally it didn't bother me at all. The log burner is great once you get back into your scouting skills to light it but again part of the fun and certainly kicks out some heat once its alight. One thing I don't think is mentioned on the booking site is that when it gets dark here it gets pitch black so you'll need to take a good torch with you for returning home late and getting in but also for if the electric meter runs out at night (bad planning on our part).! You literally cannot see your hand in front of your face. Mike the owner lives in the property next door and is a very easy and affable guy to deal with if you have any problems at all. He also has good info about local attractions / pubs / restaurants etc Value for money? Certainly." "This is a recently renovated old Smithy as the name suggests and is a lovely comfortable place to stop with parking. 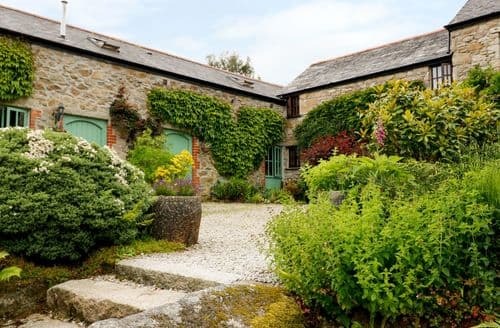 Its centrally located in this part of Cornwall tucked away in some picturesque countryside lanes with easy access to most areas. Not too far from Golitha falls and also Siblyback Lake which are both lovely dog walks. We went as a couple with our two dogs and found we had plenty of room. One bedroom is a double and the other one upstairs is a twin. There is a washing machine and access to a tumble dryer, fridge and cooker. Wi fi is not great and mobile reception is sparse but hey you're on holiday and sometimes thats a bonus if you want some peace and quiet? If you really need it theres plenty of cafes in the town for wi fi. Personally it didn't bother me at all. The log burner is great once you get back into your scouting skills to light it but again part of the fun and certainly kicks out some heat once its alight. One thing I don't think is mentioned on the booking site is that when it gets dark here it gets pitch black so you'll need to take a good torch with you for returning home late and getting in but also for if the electric meter runs out at night (bad planning on our part).! You literally cannot see your hand in front of your face. Mike the owner lives in the property next door and is a very easy and affable guy to deal with if you have any problems at all. He also has good info about local attractions / pubs / restaurants etc Value for money? Certainly."